Transcription of burial record book and gravestone inscriptions edited for online use by Roger Bryant, January 2013. In 1983 I transcribed the burial record book of the chapel (see D143 in the New Mills Local History Society archives) and in 1984 Marjorie Jones edited and typed out the gravestone inscriptions recorded in 1983 and 1984 by a group of members of the Society (see D141 in the archives). In making this information available here I have made some minor changes of spelling, word-order, punctuation and use of capitals and abbreviations, but spellings of names of people have not been altered. I have omitted from the burial records some details relating to cash payments for graves and the names of the ministers or presiding officials at the burials. From the gravestone inscriptions I have omitted phrases such as "In memory of" and "beloved" as well as the names of monumental masons. There are two sets of graves, as shown on the plan. Graves numbered A1 to A135 are located at the front (east side) of the chapel and graves numbered 1 to 47, together with some cremation graves, are located on the south side of the chapel. In the burial record book graves A1 to A135 are simply numbered 1 to 135, but I have used A1 to A135 here for clarity. For each grave I have given the entry from the burial record book followed by the gravestone inscription (if any). [Gravestone inscription.] GEORGE BRIDGE died 10th Oct 1890. Also ADA and ALBERT died in infancy. [Entry from burial record book.] Sold to Henry Turner. George Robert Turner interred Feb 21st 1872 aged 14 days. Mary Turner interred Nov 28th 1872 aged 3 years. Sarah Turner interred Feb 26th aged 58 years [see also grave A2]. Henry Turner interred Mar 6th 1912 aged 72 years. [Gravestone inscription.] SARAH wife of HENRY TURNER, Hall St, New Mills, died Feb 24th 1892 aged 58 years. Also the above HENRY TURNER died Mar 2nd 1912 aged 72 years. Also MARY TURNER their daughter died Nov 25th 1872 aged 3 years 10 months. Also GEORGE and ROBERT TURNER their sons died Feb 20th 1872 aged 3 weeks. [Entry from burial record book.] Sold to Thomas Harrison 1873. John Taylor Harrison interred May 8th 1873 aged 25 years. Abagail Harrison interred Jun 24th 1874 aged 84 years. Elizabeth Harrison interred Jul 17th 1886 aged 64 years. Thomas Harrison interred Dec 28th 1886 aged 75 years. [Gravestone inscription.] THOMAS HARRISON of New Mills died Dec 23rd 1886 aged 75 years. Also ELIZABETH his wife died Jul 14th 1886 aged 64 years. Also ABIGAIL sister of THOMAS HARRISON died Jun 20th 1874 aged 84 years. Also JOHN TAYLOR son of the above died May 2nd 1873 aged 25 years. [Entry from burial record book.] Trust Grave. John Williams interred May 17th 1874 aged 80 years. Thomas Broadie interred Aug 18th 1874 aged 65 years. Ellen Kay interred Feb 16th 1875 aged 20 years. John Chatterton interred Jul 29th 1875 aged 69 years. Joseph Ridgway interred Dec 26th 1875 aged 22 weeks. John William Ridgway interred Oct 5th 1876. James William Taylor interred Jun 24th 1887 aged 3 months. Albert Croxall aged 8 months interred Nov 3rd 1888. [Entry from burial record book.] Trust Grave. Eliza Jane Mc Cormick interred Mar 9th 1878 aged 8 years. Emily Collinge interred Mar 24th 1878 aged 9 months. Ann Beresford interred Apr 7th 1878 aged 3 years. James Armitage interred Nov 19th 1884 aged 1 year 3 months. Arthur William Bamford interred Apr 28th 1885 aged 19 years. Joseph Edward Coverley interred Dec 15th 1887 aged 5 months. Ellen Mary Bamford interred Feb 9th 1888 aged 19 years. [Entry from burial record book.] Sold to Mary Ann Warmby. John Wharmby interred Oct 12th 1869 aged 69. John Thomas Warmby interred Jul 12th 1872 aged 8 months. Arthur James Wharmby interred Apr 16th 1878 aged 1 year. Mary Ann Wharmby interred May 5th 1892 aged 79 years. Elizabeth Ann Barker interred Jun 23rd 1892 aged 5 months. Georgina Barker interred Apr 12th 1893 aged 4 years. Arthur Hibbert interred Aug 3rd 1901 aged 20 days. Florence Beverley Nov 8th 1907 aged 4 days. [Gravestone inscription.] JOHN WHARMBY of New Mills died Oct 7th 1869 aged 69 years. Also MARY ANN his wife died May 3rd 1892 aged 79 years. [Entry from burial record book.] Sold to Mrs Georg Wm. Boyle. Alfred Richard Boyle interred Oct 24th 1869 aged 17 years. Alice Boyle interred Apr 17th 1870 aged 39 years. Walter Robert Mason aged 1 year interred Jan 25th 1906. [Crossed out: George Wm. Boyle aged 8 years interred Feb 24th 1909.] George John Boyle aged 88 years interred Feb 24th 1909. Horace Mason aged 2 years interred Jan 10th 1914. [Gravestone inscription.] No headstone. Only edging stone. [Entry from burial record book.] Sold to John Warhurst. Harriet Warhurst interred Sep 14th [no year given] aged 17 years. Thomas Warhurst interred Sep 22nd 1878 aged 1 month. John Warhurst interred Dec 29th 1921 aged 74 years. Sarah Ann Warhurst interred May 3rd 1927 aged 78 years. 3'-0" deep. [Gravestone inscription.] HARRIET WARHURST wife of JOHN WARHURST of New Mills departed this life Sep 11th 1871 aged 18 years. Also the above JOHN WARHURST died Dec 29th 1921 aged 74 years. Also SARAH ANN his wife died Mar 1st 1927 aged 78 years. [Entry from burial record book.] Sold to Daniel Marsland. James Marsland interred Apr 1st 1872 aged 2 years. Eli Marsland interred 14th Mar 1877 aged 3 years. John Marsland interred Aug 16th 1884 aged 14 months. [Entry from burial record book.] Sold to Mr William Pott Jun 17th 1877. John Henry Pott interred Jun 17th 1877 aged 5 years 6 months. Mary Pott interred Apr 18th 1888 aged 44 years. William Pott interred Oct 23rd 1907 aged 65 years. Eliza Pott aged 73 years interred May 26th 1927. [Gravestone inscription.] MARY wife of WILLIAM POTT of Low Leighton departed this life Apr 14th 1888 aged 42 years. Also JOHN HENRY their son departed this life Jun 12th 1877 aged 5 years 6 months. Also the above WILLIAM POTT departed this life Oct 20th 1907 aged 65 years. Also ELIZA his wife departed this life May 23rd 1927 aged 73 years. [Entry from burial record book.] Sold to Daniel Hibbert. John Hibbert aged 1 year 5 months interred Nov 29th 1876. Elizabeth Hibbert aged 20 years interred Jan 19th 1888. Frederick Hibbert aged 2 years interred Feb 7th 1888. Daniel Hibbert aged 70 years interred Sep 4th 1909. Abigail Hibbert aged 77 years interred Nov 18th 1922. [Gravestone inscription.] DANIEL HIBBERT died Aug 31st 1909 aged 70 years. Also ABIGAIL his wife died Nov 15th 1922 aged 77 years. Also JOHN son of DANIAL and ABIGAIL HIBBERT of Will Hey, New Mills, died Nov 25th 1876 aged 1 year 5 months. Also ELIZABETH their daughter died Jan 14th 1888 aged 20 years. Also FREDRICK their son died Feb 3rd 1888 aged 2 years. [Entry from burial record book.] Sold to James Gartside. Ester Gartside wife of the above interred Mar 23rd 1865 aged 73 years. James Gartside interred Jun 16th 1868 aged 88 years. Eliza Bodle aged 7 months interred Mar 1st 1876. Maria Green aged 11 months interred Mar 12th 1876. William Peel aged 61 years interred Nov 10th 1888. William Edward Shirt aged 4 months interred Jan 31st 1891. Eliza Green interred Jun 6th 1891 aged 4 years. Alfred Shirt interred Apr 2nd 1893 aged 11 weeks. [Entry from burial record book.] Trustees Grave for the Poor. Joseph Horsefield interred Jan 13th 1858 aged 49 years. Ann Pearson interred Jan 31st 1858 aged 21 years. Alice Arnfield interred Apr 11th 1858 aged 62 years. Thomas Berry interred May 22nd 1858 aged 38 years. Martha Horsefield interred Feb 2nd 1861 aged 52 years. Ellin Beresford interred Jan 13th 1873 aged 42 years. John Martin Downes 5 days old interred May 18th 1877. Sarah Elizabeth Swann aged 1 month interred Feb 10th 1878. John Gregory interred Apr 25th 1896 aged 1 day. This Grave is full. [Entry from burial record book.] Trustees Grave to bury the poor in. John Howe interred Aug 10th 1858 aged 70 years. Sarah Elizabeth Bennett interred Nov 28th 1858 aged 7 years. Mary Bennett interred Dec 2nd 1858 aged 1 year. Robert Eli Jackson interred Apr 29th 1860 aged [blank] years. Samuel Longden interred Mar 17th 1861 aged 7 months. Betty Jones interred Oct 2nd 1866 aged 64 years. Charles Spencer interred May 4th 1869 aged 74 years. Frank James Bamford aged 21 years interred Dec 23rd 1888. [Entry from burial record book.] Towns Grave to bury the poor who cannot Buy one for themselves. Peter Swindells interred Mar 9th 1861 aged 22 years. Charllotte Sweatmoore interred Mar 10th 1861 aged 64 years. John William Hatton interred Sep 5th 1863 aged 15 years. Martha Howe interred Jan 3rd 1864 aged 2 years. Edward Byrnes interred Apr 21st 1864 aged 38 years. Joseph Bowden interred May 3rd 1864 aged 2 months. Mary Howe interred Aug 1st 1865 aged 10 months. Mary Jane Booth interred Jan 30th 1870 aged 7 months. Edith Taylor interred Oct 27th 1883 aged 1 year 11 months. [Entry from burial record book.] Trustee Grave to Bury the Poor in. Mary Haywood interred May 22nd 1864 aged 48 years. Elizabeth Simpson interred Aug 23rd 1864 aged 52 years. Eliza Beard interred Dec 10th 1864 aged 58 years. Ann Warren interred Feb 26th 1865 aged 1 1/2 years. Agnes Spencer interred Apr 14th 1865 aged 71 years. George Burgess infant 4 days old interred May 13th 1884. John William Woodall aged 20 days interred Mar 19th 1887. Ethel Annie Webb aged 2 years interred Jan 18th 1895. [Entry from burial record book.] The Trustees Grave to bury the poor. Isaac Nicholson interred Jul 7th 1868 aged 39 years. George Lamb interred Apr 30th 1870. Hanna Oldfield interred Dec 18th 1870 aged 15 years. Mary Ann Hawkins interred Jul 3rd 1871 aged 41 years. James Oldfield interred Sep 2nd 1871 aged 69 years. Ann Taylor interred Nov 8th 1877 aged 15 weeks. David Ridgway interred Jan 5th 1886 aged 2 years. [Entry from burial record book.] Sold to Elizabeth Grayham. William Graham interred Feb 21st 1866 aged 19 years. Elizabeth Graham interred Apr 16th 1873 aged 55 years. Sarah Graham interred Nov 16th 1878 aged 1 year 4 months. [Entry from burial record book.] Sold to Charles Sharples, Alms Houses [Charles is written over Betty]. Abraham Sharples husband of the above Betty Sharples interred Aug 11th 1853 aged 45 years. Millicent Sharples interred Jul 14th 1855 aged 79 years. Maria Sharples interred Dec 8th 1894 aged 78 years. Charles Sharples interred Nov 11th 1899 aged 84 years. This grave is full. [Entry from burial record book.] Sold to John Higginbottom. Mary Higginbottom interred Oct 7th 1856 aged 23 months. George Simpson interred Feb 6th 1862 aged 21 years. James Turnock interred Dec 17th 1863 aged 16 years. Betty Higginbottom interred Jul 7th 1891 aged 73 years. John Higginbottom interred Dec 8th 1891 aged 83 years. Albert Bowden interred Oct 20th 1894 aged 14 days. Birtie Bowden interred Jun 20th 1901 aged 2 years. [Gravestone inscription.] J. and E. H. In memory of MARY HIGGINBOTTOM died Oct 4th 1856 aged 23 months. Also GEORGE SIMPSON died Feb 1st 1862 aged 22 years. Also JAMES TURNOCK died Dec 14th 1863 aged 16 years. [Entry from burial record book.] Sold to William Harrison. Sarah Ann Harrison interred Apr 28th 1868 aged 22 years. Thomas Harrison interred Oct 8th 1868 aged 7 months. [Entry from burial record book.] Sold to Levinah Bayley 1867. William Bayley interred Dec 29th  aged 49 years. Levinia Bailey interred Jan 24th 1869 aged 46. Alfred Hill interred Dec 11th 1870 aged 21 months. Hannah Hill aged 4 1/2 years interred Mar 30th 1876. Elizabeth Beaumont aged 75 interred Jul 13th 1876. [Entry from burial record book.] Sold to James Belsford. Hannah Mary Belsford interred Oct 16th 1868 aged 11 weeks. Herbert Belsford interred Oct 12th 1872 aged 5 days. Thomas Belsford aged 1 year interred Feb 20th 1877. [Entry from burial record book.] Sold to George Tallant. Thomas James Tallant interred Jul 14th 1870 aged 11 years. [Entry from burial record book.] Sold to William Swindells. John Swindells interred Nov 5th 1864 aged 20 years. Samuel Swindells Mar 14th 1874 aged 28 years. William Swindells aged 81 years interred Jun 6th 1888. Hannah Swindells aged 79 years interred Dec 22nd 1889. [Gravestone inscription.] JOHN son of WILLIAM and HANNAH SWINDELLS died Nov 1st 1864 aged 20 years. Also SAMUEL their son died Mar 9th 1874 aged 28 years. Also WILLIAM SWINDELLS died Jun 3rd 1888 in his 82nd year. HANNAH his wife died Dec 17th 1889 in her 80th year. [Entry from burial record book.] Sold to Enoch Fearnley. John William Fearnley interred Mar 6th 1862 aged 5 years. Fanny Fearnley interred Jul 3rd 1864 aged 2 years 9 months. Enock Fernley interred Nov 27th 1875 aged 48 years. Fanny Fernley interred Mar 28th 1899 aged 73 years. Eunice Fernley interred May 8th 1900 aged 15 months. [Entry from burial record book.] Sold to James Ledger. Mary Ledger interred Oct 8th 1857 aged 67 years. [Entry from burial record book.] Sold to Joseph Atkin. Mary Atkin interred Aug 15th 1860 aged 67 years. Elizabeth Atkin interred Nov 27th 1867 aged 58 years. Sarah Needham interred Nov 26th 1871 aged 60 years. Joseph Atkin interred Nov 14th 1877 aged 76 years. [Entry from burial record book.] Sold James Fernley. James Fernley Junr. interred Jan 6th 1861 aged 2 years. Walter Fernley interred Jan 25th 1866 aged 18 months. John Fearnley interred Oct 20th 1872 aged 9 days. Elizebath Alice daughter of Joseph and Sarah Needham aged 5 days interred Jan 13th 1877. Elizabeth Fernley aged 57 years interred Nov 12th 1878. James Fearnley interred Aug 29th 1890 aged 70 years. [Gravestone inscription.] ELIZABETH wife of JAMES FEARNLEY died Nov 8th 1878 in the 58th year of her age. Also the above JAMES FEARNLEY of Thornsett died Aug 26th 1890 aged 70 years. [Entry from burial record book.] Sold to William Thorpe 1873. Esther Thorpe interred Jan 22nd 1873 aged 2 years 10 months. Sarah Thorpe aged 7 months interred Feb 3rd 1875. William Thorpe aged 7 months interred May 15th 1878. Alice Thorpe interred Jun 22nd 1879 aged 11 weeks. Alice Thorpe interred Mar 24th 1888 aged 52 years. William Thorpe interred Sep 17th 1890 aged 70 years. [Gravestone inscription.] W. A. T. 1874. [Entry from burial record book.] Sold to John Richardson. William Richardson interred Oct 10th 1865 aged 17. John Richardson father of the above John Richardson interred Nov 7th 1865 aged 71 years. Sarah Richardson interred Mar 24th 1867 aged 68 years. Sarah Richardson interred Apr 12th 1868 aged 15 years. Elizabeth Ridgway interred May 1874 aged 28 years. James Ridgeway son of the above Jun 6th 1874 aged 6 weeks. Joseph Richardson interred Jul 13th 1878 aged 11 months. James Harrison interred May 24th 1883 aged 2 months. Eveline Richardson interred Sep 27th 1898 aged 21 days. Thos. Wright aged 57 years interred Nov 12th 1917. This Grave is full. [Entry from burial record book.] Sold to John Hambleton. Thomas Hambleton interred Sep 6th 1862 aged [blank]. John Edward Hambleton interred Sep 5th 1878 aged 12 years. John Hambleton aged 70 years interred Jul 2nd 1881. Sarah Hambleton aged 74 years interred Feb 10th 1891. [Gravestone inscription.] Initial H. followed by J. and S. and date 1879. [Entry from burial record book.] Sold to William Gould. Ann Gould wife of William Gould interred Jan 30th 1853 aged 75 years. [Entry from burial record book.] Sold to Joseph Riley. Mary Ann Riley interred May 6th 1853 aged 11 years. Samuel Chapman interred Sep 20th 1857 aged 6 months. Harriet Ryley interred Sep 26th 1871 aged 13 months. Joseph Ryley interred Dec 1st 1878 aged 68 years. Sarah Riley interred Mar 11th 1883 aged 66 years. Alfred Gibson interred Jun 20th 1892 aged 7 hours. Samuel Higginbottom Ryley interred Aug 23rd 1899 aged 13 months. This Grave is now full. Dec 21st 1903 still born child (female) of Mrs R. Ryley entered in Dec 28th 1903. [Entry from burial record book.] Sold to John Smith. Sarah Jane Smith interred Jan 5th 1866 aged 11 years. Mary Smith interred Dec 27th 1889 aged 63 years. John Smith interred Jun 6th 1895 aged 67 years. [Entry from burial record book.] Sold to Ann Boden. William Bowden interred Sep 9th 1873 aged 47 years. Charles Henry Bowden interred Nov 28th 1875 aged 23 years. William Bowden interred Jan 27th 1878 aged 22 years. Maria Bowden interred Aug 2nd 1885 aged 17 years. Mary Ann Shore interred Dec 1st 1890 aged 24 years. [Entry from burial record book.] Sold to John Green. Mary Green interred Sep 30th 1866 aged 20 years. This Grave was given to Samuel Ryley by the above named person John Green. Samuel Ryley interred Mar 28th 1896 aged 50 years. Mrs Grace Ryley interred Sep 12th 1945 aged 89 years. [Entry from burial record book.] Sold to Lucy Hibbert. Randal Hibbert husband of the above interred May 19th 1863 aged 33 years. Lucy Hibbert wife of the above Randale Hibbert interred Mar 6th 1867. Jemima Hibbert aged 18 years interred Jul 31st 1877. John William Hibbert aged 19 years interred Apr 7th 1881. [Gravestone inscription.] RANDLE HIBBET of New Mills died May 14th 1863 aged 33 years. Also LUCY his wife died Mar 1st 1867 aged 34 years. [Entry from burial record book.] Sold to Martha Gould. John Gould husband of the above interred Sep 1st 1850 aged 37 years. Mary Ann daughter of John and Maria Hibbert interred Dec 17th 1856 aged 2 months. John William Pegram interred Jun 8th 1859 aged 11 months. Emma daughter of John and Maria Hibbert interred May 11th 1862 aged 2 years. Robert Stafford interred July 3rd [year not given] aged 43 years. [Entry from burial record book.] Sold to Henry Fogg. Deborah Fogg interred Oct 17th 1852 aged 66 years. Deborah Stafford interred Mar 16th 1853 aged 5 years. Henry Fogg interred Apr 14th 1853 aged 68 years. [Entry from burial record book.] Sold to Charles Lloyd. Jane wife of Charles Lloyd interred Aug 9th 1854 aged 66 years. Henry Richardson interred Apr 22nd 1883 aged 59 years. Charles Henry Richardson interred May 5th 1883 aged 12 weeks. Jesse Richardson interred Jun 28th 1887 aged 4 years. [Gravestone inscription.] HENERY RICHARDSON of New Mills died Apr 17th 1883 aged 59 years. Also JANE LLOYD died Aug 5th 1854 aged 66 years. [Gravestone inscription.] MARY daughter of CHARLES and ELIZABETH RIPPON of Furness Vale died Oct 8th 1873 aged 9 months. [Entry from burial record book.] Sold to Samuel Coe Jun. John Coe interred Sep 6th 1867 aged 10 weeks. [Entry from burial record book.] Sold to James Shaw. Elizabeth Shaw interred Dec 10th 1863 aged 23 years. Harriet Shaw interred Jun 29th 1869 aged 62 years. Harriet Ann Shaw aged 13 years interred Oct 1st 1876. James Shaw interred Aug 13th 1880 aged 69 years. [Entry from burial record book.] Sold to William Gibson. Ann Gibson interred May 15th 1858 aged 11 weeks. Joseph Gibson interred July 31st 1860 aged 11 years. Esther Gibson interred Jun 28th 1887 aged 67 years. William Gibson interred May 26th 1903 aged 82 years. [Gravestone inscription.] W. GIBSON 1858. [Entry from burial record book.] Sold to Samuel Hadfield. Hannah Hadfield mother of Samuel Hadfield interred Oct 7th 1855 aged 67 years. Anthony Hyde interred Jan 20th 1861 aged 49 years. Sarah Hadfield interred Jun 16th 1867 aged 32 years. Thomas Hatfield interred Jul 6th 1867 aged 6 weeks. Samuel Hadfield aged 57 years interred Apr 14th 1884. [Entry from burial record book.] Sold to John Bennett. Nancy Stafford interred Feb 17th 1867 aged 69 years. Joseph Bennett interred Mar 31st 1867 aged 14 months. John Bennett interred Jun 4th  aged 7 years. Sarah Ann Bennett interred Jan 3rd 1872 aged 49 years. John Bennett interred Jun 13th 1872 aged 61 years. This grave is full. [Entry from burial record book.] Sold to W. Stafford. Maria Stafford interred Dec 16th 1874 aged 76 years. William Stafford interred Nov 22nd 1882 aged 81 years. The above grave has been presented to Mr James Taylor of Hayfield by Robert Stafford his son Apr 22nd 1893. James Taylor interred Sep 28th 1895 aged 67 years. Mary Taylor interred Feb 5th 1900 aged 71 years. [Gravestone inscription.] WILLIAM STAFFORD of Whitle Bank died Nov 19th 1882 aged 81 years. Also MARIA his wife died Dec 6th 1874 aged 76 years. Also JAMES TAYLOR died Sep 26th 1895 aged 67 years. Also MARY his wife died Feb 2nd 1900 [stone badly worn here] in her 80th years. [Entry from burial record book.] Sold to James Chattmon. Mary Chatmon interred Nov 30th 1867 aged 72 years. James Chapman interred Jul 16th 1882 aged 87 years. [Gravestone inscription.] ANN wife of JAMES CHAPMAN departed this life Nov 26th 1867 in her 73rd year. Also the said JAMES CHAPMAN departed this life Jul 12th 1882 aged 87 years. [Entry from burial record book.] Sold to Jacob Marshall. Mary wife of the above Jacob Marshall interred Aug 2nd 1864 aged 68 years. Jacob Marshall interred Jun 7th 1879 aged 79 years. Eliza Bradbury interred Apr 25th 1916 aged 85 years. [Gravestone inscription.] JACOB MARSHALL of Diglands departed this life Jun 4th 1879 aged 79 years. Also MARY his wife departed this life Jul 29th 1864 aged 68 years. Also ELIZA their daughter wife of WILLIAM BRADBURY of Furness Vale died Apr 22nd 1916 aged 86 years. Also JACOB son of WILLIAM and ELIZA BRADBURY. [Entry from burial record book.] Sold to Edward Beard. Mary Ann Beard interred Mar 1st 1862 aged 30 years. Martha Beard interred Jul 23rd 1876 aged 70. Edward Beard interred Jan 19th 1884 aged 77 years. [Gravestone inscription.] EDWARD BEARD of New Mills born Feb 6th 1806 died Jan 17th 1884. MARTHA wife of EDWARD BEARD died Jul 20th 1876 in her 71st year. Also MARY ANN BEARD daughter of EDWARD and MARTHA BEARD died Mar 24th 1862 aged 30 years. [Entry from burial record book.] Sold to Thomas Wadsworth. Elizabeth Wadsworth interred Nov 8th 1860 aged 8 weeks. Ann Wadsworth interred Apr 25th 1861 aged 7 years 6 months. Mary Wadsworth interred May 8th 1861 aged 3 years. Robert Joseph Wadsworth interred Dec 23rd 1861 aged 10 weeks. Harriet Wadsworth interred Nov 26th 1862 aged 4 weeks. Sarah Wadsworth interred Apr 28th 1864 aged 3 months. [Entry from burial record book.] Sold to James Sandefort. Elizabeth Sandefort interred Aug 15th 1867 aged 7 months. John Joseph Howard interred Jun 15th 1868 aged [blank] hours. Ann Elizabeth Sandford interred Sep 14th 1880 aged 7 years. Hannah Sandiford interred Mar 2nd 1898 aged 57 years. Sarah A. Bowden interred May 17th 1915 aged 80 years. James Sandiford interred Jan 3rd 1922 aged 80 years. Grave full. [Gravestone inscription.] SANDIFORD. Father JAMES. Mother HANNAH. Brother ISAAC. Sister ELIZABETH. Sister ANN ELIZABETH. [Entry from burial record book.] Sold to Thomas Pott. Sarah Elizabeth Pott interred Jan 1st 1875 aged 15 months. Samuel Pott son of Thomas and Ann Pott interred May 17th 1876 aged 1 year 5 months. Mary Pott interred Mar 31st 1878 aged 14 months. Thomas Pott interred Jan 25th 1879 aged 32 years. John Pott interred Feb 3rd 1906 aged 6 months. Hilda Pott interred May 7th 1906 aged 9 months. Mrs Ann Pott interred Nov 13th 1926 aged 80 years. [Entry from burial record book.] Sold to William Tunicliff. Clara Maria Tuniacliff interred Apr 24th 1868 aged 38 years. Merriah Moss interred May 10th 1868 aged 16 months. [Entry from burial record book.] Sold to Eliza Bredbury. William Bredbury husband of the above interred Nov 27th 1864 aged 41. Robert Bradbury interred Dec 18th 1865 aged 1 year. Eliza Hannah Bradbury Jan 13th 1874 aged 10 weeks. Jacob Bradbury interred Jan 16th 1890 aged 36 years. [Entry from burial record book.] [Crossed out: Sold to Millicent Lomas.] This Grave to belongs to John Lomas. Husband of the above [i.e. husband of Millicent Lomas?] John Lomas interred Dec 14th 1864 aged 71 years. Elizabeth Mayson interred May 16th 1872 aged 4 years. Millicent Lomas aged 74 interred Feb 6th 1877. Martha Ann Mason aged 7 months interred Sep 19th 1888. George Lomas aged 46 years interred Sep 18th 1889. John Lomas aged 58 years interred Aug 29th 1898. This Grave is full. [Entry from burial record book.] Sold to Thomas Berry 1861. Thomas Berry Junr. interred Mar 21st 1861 aged 8 months. Mary Berry interred Jun 16th 1875 aged 44 years. William Berry interred May 4th 1885 aged 8 months. Arthur Berry interred Aug 18th 1887 aged 2 months. John William Berry interred Sep 23rd 1887 aged 34 years. [Gravestone inscription.] MARY wife of THOMAS BERRY of Newtown died Jun 15th 1875 aged 44 years. Also THOMAS their son died Mar 18th 1861 aged 8 months. Also JOHN WILLIAM their son died Sep 18th 1887 aged 34 years. [Entry from burial record book.] This Grave belongs to George Potts. [Crossed out: Sold to John Spencer.] 1869. Paul Spencer interred May 23rd  aged 1 year. Meary Spencer interred Jun 3rd [1869?] aged 2 [years?] and 3 [months?]. Thomas Brelsford interred Aug 15th 1883 aged 56 years. This grave sold to Mr and Mrs Ed. Dodd by Mr Geo. Potts 1890. Alice Dodd daughter of Mr and Mrs Ed. Dodd, New Mills, aged 7 years 10 months interred Nov 2nd 1890. Ed. Dodd, of Albion Rd, Newtown, New Mills, aged 69 years interred Nov 14th 1908. Elizabeth Dodd, of Albion Rd, New Mills, aged 71 years interred Jan 25th 1914. [Entry from burial record book.] Sold to Robert Marshall. Eliza Marshall interred Jan 24th 1875 aged 14 weeks. Tom Marshall aged 12 days interred 28th Jul 1877. [Gravestone inscription.] SELINA daughter of JAMES and MARY RICHARDSON of New Mills died Jun 10th 1868 aged 4 years 4 months. Also the above JAMES RICHARDSON departed this life Oct 7th 1910 aged 80 years. Also the above MARY RICHARDSON entered into rest Jan 14th 1918 aged 85 years 9 months. Also JAMES WILLIAM their son died Nov 5th 1940 aged 71 years. Cremated at Manchester Crematorium. [Entry from burial record book.] Sold to Ephraim Marsden. Eliza Marsden interred Apr 17th 1867 aged 34. Ephraim Marsland interred Oct 7th 1869. Elizabeth Hartley interred Apr 30th 1874 aged 76 years. [Entry from burial record book.] Sold to James Pennetent. Mary Pennetent interred Mar 17th 1867 aged 75 years. Martha Pennington interred Aug 3rd 1895 aged 72 years. James Pennington interred Apr 20th 1901 aged 79 years. Alice Pennington interred Feb 21st 1907 aged 62 years. [Gravestone inscription.] JAMES PENNINGTON died Apr 17th 1901 aged 79 years. MARTHA wife of JAMES PENNINGTON of Spring Bank, New Mills, died Jul 29th 1895 aged 72 years. Also MARY PENNINGTON died Mar 14th 1867 aged 75 years. [Entry from burial record book.] Sold to Edward Mayson family. Edward Mason interred Feb 27th 1869 aged 70. George Mason interred July 16th 1874 aged 46 years. Sarah Wilde interred Nov 14th 1875 aged 15 months. Mary Wild interred Mar 16th 1877 aged 43. This Grave Full. [Entry from burial record book.] Sold to Jeremiah Longden. Hannah Longden interred Jun 13th 1869 aged 42 years. Samuel Longden interred Sep 12th 1871 aged 17 years. Jeremiah Longden interred Jan 9th 1872 aged 52 years. Jerry Londden interred Aug 5th 1874 aged 12 years. Thomas Longden aged 19 interred Mar 7th 1877. [Entry from burial record book.] Sold to James Warhurst. John W. Warhurst interred Nov 4th 1875. James Edwin Warhurst aged 1 year 3 months interred Jan 22nd 1879. James Warhurst aged 36 years interred Jun 12th 1881. Mary Warhurst interred Jun 10th 1898 aged 48 years. [Gravestone inscription.] JAMES WARHURST of New Mills died Jun 9th 1881 aged 36 years. Also MARY relict of the above died Jun 6th 1898 aged 48 years. Also JAMES EDWIN and JOHN WILLIAM their infant children. [Entry from burial record book.] Sarah Potts was Susannah Norcliffe interred Feb 2nd 1870 aged 51 years. Susannah Coe interred Apr 11th 1871 aged 21 years. Hannah Norcliffe interred May 14th 1872 aged 20 years. Harold Potts May 13th 1888 aged 3 years. Betty Bagshaw still born 1st Mar 1925. Harold Bagshaw still born Apr 1928. Stephen Beard Bagshaw aged 3 days June 13th 1933. Ethel Bagshaw aged 45 years interred [blank] 1953. William Chappell Bagshaw aged 75 years buried 8th Apr 1972. This Grave is now Sealed. This grave now owned by William Chappell Bagshaw Jun 1953. [Gravestone inscription.] HAROLD son of GEORGE and SARAH POTTS of New Mills died May 10th 1888 aged 3 years. ETHEL wife of WILLIAM C. BAGSHAW died 7th Jun 1958 aged 56 years. Also the above WILLIAM C. BAGSHAW died 5th Apr 1972 aged 75 years. Also children of the above died in infancy. [Entry from burial record book.] Sold to Daniel Lindley. Maria Lindley interred Oct 3rd 1869 aged 7 years. [Entry from burial record book.] [Crossed out: Sold to John Howe.] Transferred to Ellin Howe. Mary Howe Jul 3rd 4th 1869 aged 37 years. Maria Howe interred Feb 3rd 1870 aged 10 months. George Wm. Bowden interred Apr 17th 1870 aged 15 months. Jane Bowden interred May 12th 1870 aged 3 years 3 months. John Howe interred May [29th?] 1872 aged 40 years. Ellen Howe [blank] Jan 20th 1878. [Entry from burial record book.] Sold to William Williamson. Meary Jane Williamson interred Jan 27th 1870 aged 32 months. Arthur Williamson interred Mar 23rd 1870 aged 5 years. Harry Lomax interred Oct 27th 1890 aged 5 years. Caroline Williamson aged 55 years interred Apr 24th 1895. William Williamson aged 55 years interred Sep 19th 1896. [Entry from burial record book.] Sold to Jerramiah Longden. Eli Darwin interred Dec 10th 1869 aged 7 months. Betty Longden interred Nov 16th 1870 aged 81 years. Sarah Ann Longden interred Dec 4th 1875 aged 41. Elizabeth Longden aged 39 years interred Nov 6th 1878. [Entry from burial record book.] Sold to John Birtwistle Mar 7th 1877. Fred Birtwistle interred Mar 7th 1877 aged 5 months. James Herbert Birtwistle interred Jan 26th 1881 aged 4 years. Beatrice Birtwistle interred Jul 11th 1885 aged 2 years 6 months. Ernest Birtwistle interred Nov 22nd 1885 aged 6 years. [Entry from burial record book.] Sold to Samuel Howard. Sarah Howard interred Mar 11th 1868 aged 16 years. Meary Ann Beard interred Jan 6th 1870 aged 6 weeks. Elizabeth Howard interred Nov 12th 1871 aged 46 years. Maria Fowler interred Aug 13th 1888 aged 56 years. [Entry from burial record book.] Sold to Samuel Stones. Meria Jane Stones interred Mar 14th 1869 aged 8 months. Elizabeth Stones interred Jan 2nd 1870 [aged] 3 years. Nancy Burgess interred Aug 29th 1872 aged 79 years. Sarah Harriet Stones interred Oct 27th 1872 aged 4 months. Sarah Stone aged 40 years interred Feb 3rd 1877. Samuel Stones aged 58 years interred Jan 9th Jun 7th 1902. [Entry from burial record book.] Sold to Hannah Hewitt. Joseph Hewitt interred Apr 7th 1869 aged 18 years. Mary Ann Chatterton interred Dec 13th 1871 aged 33 years. John Hewitt interred Dec 25th 1875 aged 9 years. Hannah Hewitt aged 64 years interred Oct 23rd 1879. [Gravestone inscription.] JOSEPH HEWITT of New Mills died Apr 3rd 1869 in the 18th year of his age. Also JOHN HEWITT died Oct 24th 1854 aged 45 years interred at Edgley Wesleyan Chapel, Stockport. Also HANNAH wife of JOHN HEWITT died Oct 19th 1879 aged 64 years. Also MARY ANN wife of SAMUEL CHATTERTON died Dec 9th 1871 aged 33 years. [Entry from burial record book.] Sold to John Burgess. Elizabeth Burgess interred Sep 29th 1861 aged 13 years. Mary Ann Burgess interred Mar 3rd 1869 aged 11 weeks. George Henry Brocklelest interred Aug 26th 1871 aged 3 weeks. Frederick Joseph Brocklehurst interred Dec 29th 1874 aged 8 months. Sarah Ellen Burgess interred Sep 11th 1875 daughter of John and Eliz. Burgess. John Burgess interred Dec 7th 1882 aged 65 years. Elizabeth Burgess aged 93 years interred Nov 19th 1913. This Grave Full. [Gravestone inscription.] ELIZABETH JANE BURGESS died Sep 26th 1861 aged 13 years. [Entry from burial record book.] Sold to Laben Hall. William Hall interred Feb 26th 1868 aged 15 years. Alice Drinkwater interred aged 3 months Jan 9th 1870. Sarah Bates interred Jun 3rd 1879 aged 23 years. Mary Hall interred Jun 17th 1880 aged 50 years. Laban Hall aged 60 years interred May 17th 1889. Grave full. [Entry from burial record book.] Sold to Emma Broclehurst Aug 5th 1877. Henry Broclehurst aged 37 years interred Aug 5th 1877. Eliza Burgess aged 16 months interred Sep 8th 1881. John Burgess Graham aged 10 weeks interred Nov 12th 1882. Walter Smith aged 25 years interred Nov 29th 1882. Ann Bennett aged 61 years interred Jan 10th 1917. Mary Burgess aged 61 years interred Mar 15th 1917. This Grave Full. [Entry from burial record book.] Sold to William Ridgway. William Higginbottom interred Jul 12th 1874 aged 72 years. Mary Ridgway interred Dec 1st 1890 aged 58 years. William Howard interred Feb 8th 1902 aged 1 month. William Ridgway interred Oct 30th 1912 aged 82 years. Sarah Elizabeth Howard interred Nov 30th 1943. [Gravestone inscription.] WILLIAM HIGGINBOTTOM of Torr Vale departed this life Jul 7th 1874 aged 72 years. Also MARY wife of WILLIAM RIDGEWAY of Torr Vale departed this life Nov 27th 1890 aged 58 years. Also the above WILLIAM RIDGEWAY departed this life Oct 27th 1912 aged 82 years. [Entry from burial record book.] Sold to Levi Wyatt. James Wharmby Wyatt interred Dec 19th 1842 aged 3 years 10 months. John Wyatt interred Mar 29th 1844 aged 6 years 8 months. Levi son of Levi and Mary Wyatt interred Dec 27th 1845 aged 14 months. Thomas son of Levi and Mary Wyatt interred Aug 12th 1847 aged 5 months. Ann Simpson daughter of Levi and Mary Wyatt interred Nov 5th 1864 aged 23 years. Mary Wyatt interred Feb 13th 1892 aged 77 years. Levi Wyatt interred Mar 5th 1895 aged 83 years. Mary Elizabeth Simpson aged 60 years interred Jun 7th 1924. Grave full. [Gravestone inscription.] ANN wife of WILLIAM SIMPSON and daughter of LEVI and MARY WYATT of New Mills died Nov 1st 1864 in the 24th year of her age. Also LEVI WYATT died Mar 21st 1895 aged 83 years. Also MARY his wife died Feb 11th 1892 aged 77 years. Also MARY ELIZABETH daughter of the above WILLIAM and ANN SIMPSON died Jun 5th 1924 aged 60 years. [Entry from burial record book.] Sold to Saml. Cooper. Charity Cooper interred Jan 7th 1844 aged 5 years. [Entry from burial record book.] Sold to John Beard Junr. Eliza Beard interred Feb 5th 1849 aged 29 years. John Beard interred Feb 9th 1859 aged 48 years. William Beard interred Aug 7th 1861 aged 14 years 9 months. Joe William Taylor interred Jun 21st 1865 aged 9 months. Elisabeth Beard interred Dec 25th 1866 aged 52 years. John Beard interred Jul 10th 1873 aged 44 years. [Entry from burial record book.] Trustees Grave to bury the Poor. John Sandom interred Dec 12th 1852 aged 8 years. Sarah Markham interred Mar 29th 1857 aged 57 years. Elizabeth Berry interred Nov 10th 1857 aged 37 years. Barbara Hanibal interred Dec 3rd 1857 aged 83 years. Sarah Pearson interred Jan 24th 1858 aged 5 days. James Hall interred Feb 16th 1858 aged 6 months. George Hodkinson interred Oct 19th 1869 aged 18 months. John Ferrick interred 17th Aug 1873. George Ferrick interred Apr 27th 1874 aged 3 weeks. Joseph Burgess aged 78 years interred 1926. Grave Full. [Entry from burial record book.] [Crossed out: Sold to George Simpson.] This Grave belongs to John Lomas. Ann Simpson interred Oct 17th 1872 aged 65. George Simpson interred Mar 26th 1873 aged 57 years. Elizabeth Lomas interred Feb 15th 1874 aged 1 year 9 months. Joseph Lomas aged 2 days interred Sep 18th 1879. Elizabeth Lomas aged 57 years interred Jun 7th 1897. Full. [Entry from burial record book.] Sold to Hannah Howard. William Howard interred Jan 3rd 1841 aged 43 years. Albert Howard interred Apr 15th 1860 aged 4 years. Mary Higginbottom daughter of William and Hannah Howard interred Jan 2nd 1862 aged 41 years. Hannah Howard interred Jul 5th 1864 aged 74 years. A female child daughter of Samuel and Elizabeth Howard interred Aug 4th 1864 aged 15 hours. Emma Howard interred Sep 3rd 1867. Mary Hargreaves interred Sep 16th 1876 aged 68 years. [Entry from burial record book.] Sold [crossed out: to James Sidebottom]. Transferred to Mrs Geo. Ashworth. Sarah Sidebottom interred Feb 28th 1841 aged 33 years. George Ashworth interred Sep 1st 1921 aged 58 years. Iris Pedley interred Feb 28th 1940 aged 16 years. Mrs Geo. Ashworth interred Mar 27th 1942 aged 81 years. Ashes of Miss Elizabeth Ann Ashworth buried in this grave Mar 11th 1961 (died Feb 3rd 1961). [Gravestone inscription.] GEORGE ASHWORTH died 29th Aug 1921 aged 58 years. Also MATILDA wife of the above died 23rd Mar 1942 in her 81st year. IRIS daughter of GEORGE and MAUD PEDLEY died 24th Feb 1940 aged 16 years. Also ELIZABETH ANN their daughter died 31st Jan 1961 aged 70 years. [Entry from burial record book.] Sold to Joseph Bate. Elizabeth Bate interred Sep 15th 1843 aged 6 months. Martha Bate interred Jun 2nd 1845 aged 13 years. Joseph Bate interred Feb 27th 1850 aged 41 years. Mary Bowden interred Mar 28th 1850 aged 76 years. William Lomas of Ellen interred Dec 11th 1860 aged 9 months. Elizabeth Bate wife of the above Joseph Bate interred Jun 21st 1863 aged 61 years. Joseph Bowden interred Jan 7th 1887 aged 73 years. [Entry from burial record book.] Sold to Thomas Chatterton. Mary Ann Chatterton interred Sep 26th 1844 aged 13 years 10 months. Eliza Chatterton interred Apr 18th 1849 aged 10 months. Alice Chatterton interred Nov 7th 1849 aged 14 years. Tom Hill interred Dec 19th 1858 aged 8 months. Joseph Hill interred Apr 24th 1860 aged 3 months. Thomas Chatterton interred Jun 24th 1866 aged 65. Elizabeth Chatterton interred 31st July [no year] aged 68 years. Mary Ellen Chatterton interred Jun 19th 1889 aged 3 years. [Gravestone inscription.] Initials J. and H. C. followed by M.
[Entry from burial record book.] Sold to George Taylor. John Taylor interred Jul 13th 1851 aged 59 years. Ann Taylor interred Sep 27th 1859 aged 52 years. George Taylor interred Nov 14th 1872 aged 62 years. [Gravestone inscription.] JOHN TAYLOR died Jul 11th 1851 aged 59 years. Also ANN TAYLOR departed this life Sep 24th 1859 aged 52 years. Also GEORGE TAYLOR of Lower Cliffe departed this life Nov 11th 1872 aged 62 years. [Entry from burial record book.] Sold to Abram and John Bowden. Mary Ann Johnson interred Jun 7th 1855 aged 2 years. George son of Abram and Betty Bowden interred Jul 27th 1856 aged 1 week. Joseph son of John and Jane Bowden interred Dec 5th 1856 aged 6 months. Martha Ann daughter of Abram and Betty Bowden interred Apr 24th 1857 aged 9 months. Fanny Bowden interred Dec 31st 1864 aged 3 weeks. George Bowden interred May 18th 1865 aged 71 years. Lydia Deborah Bowden interred Aug 26th 1876 aged 18 years. George Bowden interred Mar 11th 1909 aged 44 years. This Grave now belongs to Mrs Tom Beard having been transferred by Mrs Herbert Goodwin May 1939. [Gravestone inscription.] 1870. G. M. B. [Entry from burial record book.] Sold to Jacob Hill. Harry Hill interred Oct 9th 1872 aged 3 years. Fred Hill interred Jul 28th 1875 aged 4 months. Jacob Hill interred Jan 3rd 1878 aged 54 years. Herbert Chatterton interred May 6th 1880 aged 11 months. Albert Victor Hill interred May 4th 1884 aged 2 years 9 months. John William Hill interred Jun 8th 1884 aged 4 years 11 months. Hannah Potts interred Aug 17th 1898 aged 73 years. [Entry from burial record book.] [Crossed out: Sold to James Entwisle.] Present to John Richardson by Martha Hadfield 1876. James Entwisle interred Jul 15th 1840 aged 62 years. Joseph Bradbury interred Aug 31st 1842 aged 6 months. John Richardson interred Dec 8th 1879 aged 53 years. Ann Richardson interred Apr 12th 1890 aged 66 years. Mary Ann Wright aged 60 years (daughter of the above) interred Oct 14th 1925. [Gravestone inscription.] JOHN RICHARDSON died Dec 6th 1877 aged 53 years. Also JANE his daughter died Jun 10th 1844. Also MARIA his daughter died Jan 3rd 1858 aged 3 years. Also WILLIAM his son died Oct 7th 1865 aged 17 years. Also SARAH his daughter died Apr 9th 1868 aged 15 years. Also ELIZABETH RIDGWAY his daughter died May 2nd 1874 aged 28 years. Also ANN RICHARDSON widow of the above JOHN RICHARDSON died Apr 9th 1890 aged 66 years. Also MARY ANN WRIGHT daughter of the above died Oct 11th 1925 aged 61 years. [Entry from burial record book.] Sold to George Marshall. Mary wife of George Marshall interred Jul 22nd 1840 aged 49 years. William Marshall interred Jul 20th 1851 aged 23 years. Ellen Marshall interred Dec 1st 1852 aged 7 months 2 weeks. Thomas Marshall interred Jul 13th 1853 aged 2 years. Alma Smith interred Jun 3rd 1855 aged 7 weeks. George Marshall interred Oct 19th 1856 aged 68 years. Hannah Marshall interred Feb 6th 1869 aged 76 years. [Entry from burial record book.] Sold to George Shepley. Elizabeth daughter of George and Mary Shepley interred Jan 23rd 1842 aged 9 months. Eliza Tunnicliffe interred Mar 6th 1857 aged 20 years. Joe Bagshaw interred Jan 14th 1870 aged 10 days. Mary Shepley interred Jan 6th 1876 aged 67. George Shepley, New Mills, buried Mar 16th 1877 aged 67 years. [Entry from burial record book.] Sold to William Hartley. Thomas Hartley interred May 25th 1844 aged 13 months. Alice Hartley wife of the above William Hartley interred Nov 2nd 1852 aged 45 years. Fredrick Hartley interred Feb 3rd 1869 aged 12 weeks. William Hartley interred Aug 29th 1878 aged 74 years. [Entry from burial record book.] Sold to Henry Drinkwater. Elizabeth Drinkwater interred Oct 7th 1849 aged 15 years 6 months. William Drinkwater, Thornsett, died Dec 1st 1852 interred Dec 5th 1852 aged 21 years. William Borsay interred Jul 10th 1853 aged 7 weeks. Thomas Drinkwater interred Mar 4th 1860 aged 23 years. Thomas Hill interred Aug 12th 1863 aged 9 months. Nancy wife of Henry Drinkwater interred Apr 15th 1866 aged 71 years. Henry Drinkwater aged 80 years interred Apr 29th 1880. [Gravestone inscription.] ELIZABETH daughter of HENRY and NANCY DRINKWATER of Thornsett died Oct 1st 1849 in her 16th year. Also WILLIAM their son died Dec 1st 1852 aged 21 years. Also THOMAS their son died Feb 20th 1860 in his 23rd year. Also the said NANCY DRINKWATER died Apr 10th 1866 aged 71 years. Also the above said HENRY DRINKWATER died Apr 24th 1880 aged 80 years. [Entry from burial record book.] Sold to Samuel Pott. Elizabeth Pott interred Mar 17th 1852 aged 10 months. Maria Pott interred Sep 6th 1853 aged 7 months. George Pott interred Feb 18th 1855 aged 8 months. Edward Pott interred Feb 1st 1863 aged 27 years. John William Swindles interred Jun 28th 1868 aged 6 years. Maria Elizih Bott [Maria Elizabeth Pott] interred Feb 2nd 1872 aged 6 months. Samuel Pott interred Feb 14th 1888 aged 80 years. [Entry from burial record book.] Sold to William Hartley. James William Hartley interred Nov 15th 1871 aged 3 years. William Hartley interred 28th Sep 1880 aged 50 years. Sarah Bodle interred Apr 20th 1895 aged 62 years. [Entry from burial record book.] Sold to Edmund Stanfield. Alice wife of Edmund Stanfield interred Jul 31st 1839 aged 43 years. Edmund Stanfield interred Jun 3rd 1859 aged 63 years. [Entry from burial record book.] Sold to Joseph Woolley. Sarah wife of Joseph Woolley interred Apr 8th 1840 aged 51 years. John son of Joseph and Sarah Woolley interred Mar 12th 1844 aged 28 years. Sarah Woolley interred Aug 25th 1857 aged 4 months. Ann Mason interred Nov 8th 1857 aged 42 years. Elenor Morten interred Jul 16th 1859 aged 3 weeks. Rodger and Lucilla Morten interred Jan 6th 1861. Clara Mortin interred Nov 25th 1862 aged 9 weeks. Joseph Woolley interred Feb 18th 1864 aged 75 years. Joseph Woolley Mortin interred Mar 5th 1865 aged 13 weeks. [Entry from burial record book.] Sold to Matthew Heywood. Mary Heywood wife of Matthew Heywood interred Oct 9th 1842 aged 50 years. Mary Heywood interred Jun 22nd 1847 aged 6 months. Betty Heywood interred Feb 19th 1854 aged 59 years. Ann Warren interred Feb 10th 1863 aged 64 years. Mathew Heywood interred Oct 27th 1863 aged 75 years. [Entry from burial record book.] Sold to John Mollyneaux. Elizabeth daughter of John and Ellen Mollyneaux interred Nov 21st 1844 aged 18 months. Mary Mollyneaux interred Mar 20th 1846 aged 5 years 10 months. Ellen Mollyneaux interred Jul 7th 1847 aged 34 years. John Mollyneaux interred May 29th 1853 aged 45 years. Charlotte Mollyneaux interred Apr 19th 1855 aged 48 years. Annie Elizabeth Lydiard interred Mar 17th 1861 aged 7 months. Mary Liddiard interred Nov 27th 1862 aged 67 years. John James Liddiard interred Mar 26th 1863 aged 1 year. This grave Full. [Entry from burial record book.] Sold to Joseph Beard of Saml. Charles Beard interred Nov 15th 1848 aged 10 months 3 weeks. John Beard interred Apr 16th 1853 aged 9 days. Margret wife of Joseph Beard interred May 25th 1854 aged 32 years. Mary Elizabeth Beard interred Sep 7th 1860 aged 3 years. Joseph Beard interred Apr 30th 1885 aged 63 years. Samuel Beard interred May 8th 1888 aged 9 months. Ann Beard interred Apr 10th 1894 aged 59 years. [Gravestone inscription.] JOSEPH BEARD of Thornsett died Apr 26th 1885 aged 63 years. MARGARET his wife died May 21st 1854 aged 31 years. Also ANN his wife died Apr 6th 1894 aged 59 years. [On the other side of the stone:] CHARLES their son died Nov 11th 1848 aged 10 months. JOHN died Apr 14th 1853 aged 10 days. MARY ELIZABTH died Sep 4th 1856 aged 3 years. [Entry from burial record book.] Sold to Thomas Lydiard. Martha Lydiard interred Nov 6th 1850 aged 8 years. Thomas Lydiard interred Oct 23rd 1853 aged 11 months. John Thomas Lydiard Jan 18th 1857 aged 8 months. Ruth Lydiard interred Dec 25th 1807  aged 51 years. Thomas Lyddiard Mar 9th 1876 aged 60. Ellen Sophia Lyddiard interred Mar 24th 1877 aged 8 months. [Entry from burial record book.] Sold to Edward Dodd. Joseph Edward Dodd interred Jun 6th 1871 aged 20 months. Ellen Poole interred Nov 7th 1871 aged 25 years. Martha Dodd interred Nov 3rd 1877 aged 7 years. Mary Ellen Dodd interred Jan 29th 1885 aged 10 years. [Entry from burial record book.] Given to Joseph Pennington being the first that was interred in this yard. Betty Pennington interred Jul 26th 1839 aged 84 years. Joseph Pennington interred Jan 14th 1846 aged 87 years. Fanny Bailey interred Apr 7th 1846 aged 59 years. Catharine Simpson interred Dec 19th 1847 aged 4 months. William Pennington interred Dec 31st 1848 aged 6 months. John Pennington interred Jan 22nd 1858 aged 6 years. Joseph Pennington interred Jan 26th 1858 aged 1 year. James Pennington interred Mar 2nd 1864 aged 2 years. John Joseph Pennington interred Mar 28th 1864 aged 4 years. [Entry from burial record book.] Sold to John Beard he having paid 10s/- see accs - 1841. Sarah Ann Beard interred Feb 4th 1844 aged 12 years 7 months. Mary Beard interred Jul 15th 1846 aged 38 years. Elizabeth Beard interred Apr 4th 1847 aged 14 years. Edward Beard interred Jan 13th 1850 aged 11 years 10 months. Mary Beard interred Apr 27th 1852 aged 12 weeks. Ann Beard interred Jul 12th 1853 aged 71 years. John William Beard interred Feb 14th 1854 aged 7 months. Elizabeth Randles interred Nov 7th 1854 aged 3 months. Mary Ann Randles interred Nov 1st 1858 aged 9 months. George Edward Randles interred Dec 28th 1864 aged 9 months. John Beard interred Oct 11th 1872 aged 90 years. [Entry from burial record book.] Sold to James Middleton. Isabella Middleton interred Jun 6th 1841 aged 7 years 9 months. Martha Middleton interred Jun 1st 1842 aged 2 years 3 months. Jane Arnfield interred Jun 15th 1859 aged 29 years. James Middleton aged 73 years interred Aug 16th 1882. Rebecca Middleton aged 81 years interred May 13th 1891. James Middleton aged 65 years interred Apr 7th 1904. Grave Full. [Gravestone inscription.] JAMES MIDDLETON of New Mills died Aug 12th 1882 aged 73 years. Also REBECCA his wife died May 11th 1891 aged 81 years. Also ISABELLA their daughter died Jun 2nd 1841 aged 7 years 9 months. Also MARTHA their daughter died May 27th 1842 aged 2 years 3 months. Also ALICE BANISTER MIDDLETON aged 2 weeks. Also JAMES their son died Apr 5th 1904 aged 67 years. [Entry from burial record book.] Sold to Sarah Bennett. John Bennett husband of Sarah Bennett interred Aug 20th 1843 aged 67 years. Sarah Bennett interred Jan 23rd 1844 aged 74 years. Joseph Platt interred Mar 15th 1846 aged 2 years. James Bennett interred Nov 4th 1846 aged 5 days. John Bennett son of Saml. and Mary Bennett interred Apr 8th 1847 aged 3 years. Ann Ashburn interred Sep 2nd 1847 aged 5 days. Sarah Elizabeth Bennett interred Jun 1st 1849 aged 10 months. Sarah Ashburn interred Oct 29th 1850 aged 13 days. Caroline Ashburn interred Jul 3rd 1852 aged 4 days. Harriet Ann Platt interred Dec 7th 1852 aged 3 months. James Bennett son of Saml. and Mary Bennett interred May 1st 1853 aged 9 months. Penelopy Bennett interred Jan 19th 1858 aged 2 years. Elizabeth Marsland interred Jan 24th 1860 aged 8 months. Thomas Marsland interred Nov 26th 1862 aged 10 months. This grave full. [Entry from burial record book.] Sold to Thomas Whitehead. Ellen Pickford interred Sep 17th 1848 aged 24 years. Elizabeth Ellen Shaw interred Nov 30th 1855 aged 4 weeks. Sarah Ann Shaw mother of the above Elizabeth Ellen Shaw interred Aug 15th 1863 aged 39 years. Samuel Shaw interred Oct 20th 1863 aged 13 weeks. Margaret Whithead interred Oct 21st 1871 aged 73 years. [Entry from burial record book.] Sold to Nanny Bate. William Bate husband of the above Nanny Bate interred Aug 4th 1850 aged 69 years. Nanny Bate interred Sep 24th 1852 aged 67 years. Catharine Bate interred Apr 25th 1855 aged 4 months. Sarah Bate interred Jun 29th 1856 aged 40 years. Samuel Bate interred Jan 17th 1862 aged 39 years. [Entry from burial record book.] Sold to James Garratt. Matilda Garratt interred Apr 2nd 1871 aged 29 years. Hannah Garratt interred Feb 22nd 1873 aged 3 years. Martin Garratt interred Feb 24th 1876 aged 12 years. Mary Alice Garrett aged 1 year 3 months interred May 13th 1884. [Entry from burial record book.] Sold to Thomas Stanfield. James Stanfield interred Nov 12th 1840 aged 14 years. Edmund Stanfield interred Oct 12th 1845 aged 22 years. George Bowden interred Nov 19th 1845 aged 5 months. Thomas Stanfield Junr. interred May 1st 1846 aged 5 years 5 months. Ann Bowden interred Mar 21st 1847 aged 18 months. Thomas Stanfield Senr. interred Dec 5th 1850 aged 58 years. John William Bowden interred Sep 13th 1854 aged 2 months. Jane Ann Bowden interred Mar 28th 1855 aged 2 years. Elizabeth Stanfield interred Oct 30th 1864 aged 2 years. Alice Stanfield interred Sep 4th 1869 aged 79. [Entry from burial record book.] Sold to William Barratt. Alice Barratt interred Aug 16th 1842 aged 16 years 9 months. Ann Barratt interred Sep 14th 1854 aged 49 years 10 months. John Thomas Poole interred Jan 24th 1863 aged 1 year. Martha Ann Poole interred Mar 17th 1863 aged 12 years. George Pool interred Jun 9th 1865 aged 1 year. William Barratt interred Sep 27th 1868 aged 62 years. William Barrat interred Aug 14th 1872 aged 33 years. [Entry from burial record book.] Sold to John Wild. Sarah Wild wife of John Wild interred Apr 8th 1845 aged 40 years. Mary Ann Wild interred Nov 26th 1845 aged 12 months. Sarah Ann Broadbent interred Jan 30th 1851 aged 10 months. Thomas Edward Wild interred Jan 18th 1857 aged 2 years. John William Wild interred Mar 6th 1864 aged 9 years. John Wild husband of the sbove Sarah Wild interred Jan 28th 1866. Joseph Wild interred Nov 27th 1877 aged 43 years. Joseph Wild interred Apr 28th 1878 aged 13 months. [Entry from burial record book.] Sold to Nancy Wild. Samuel Wild husband of the above Nancy Wild interred May 11th 1848 aged 73 years. Nancy Wild interred Dec 3rd 1853 aged 76 years. Matthew Lomas interred Mar 11th 1858 aged 11 years. William Lomas interred May 7th 1858 aged 33 years. [Entry from burial record book.] Sold to John Ashworth. Hannah Ashworth interred Sep 16th 1869 aged 2 years. Ada Ashworth aged 5 months interred Sep 10th 1897. John Ashworth aged 58 years interred Mar 8th 1899. Ann Ashworth aged 68 years interred Jun 3rd 1902. George Pedley aged 54 years interred [blank] 1954. [Gravestone inscription.] Stone badly overgrown by rose trees. [Entry from burial record book.] Sold to Charles Middleton. James Middleton interred Apr 15th 1842 aged 7 weeks. Charles Middleton interred Sep 25th 1860 aged 60 years. Sarah Middleton interred Mar 23rd 1862 aged 23 years. Charles Middleton interred Jun 22nd 1872 aged 28 years. Elizabeth Middleton interred Dec 16th 1875 aged 67 years. [Entry from burial record book.] Sold to Betty Beaumont. James Beaumont interred Feb 16th 1841 aged 69 years. George Beaumont interred Dec 28th 1845 aged 3 years 3 months. Martha Beaumont interred Feb 8th 1849 aged 8 years 6 months. Betty Beaumont interred Feb 11th 1849 aged 80 years. Martha Ann Beaumont interred Mar 5th 1851 aged 11 months. Thomas Beaumont interred Jun 2nd 1852 aged 50 years. [Entry from burial record book.] Sold to James Garratt. Charles Garratt interred Feb 17th 1841 aged 10 months. John William Garratt interred Jul 21st 1844 aged 8 weeks. Walter son of Joseph Garrat interred Nov 4th 1860 aged 2 years. Sarah wife of Joseph Garratt interred Sep 22nd 1861 aged [blank] years. Esther Garratt wife of the above James Garratt interred Dec 6th 1863 aged 61 years. James Garratt husband of Ester Garratt interred Feb 11th 1866 aged 63. Walter Garratt interred Jul 13th 1870 aged 5 years. Hannah Garratt interred Aug 19th 1871 aged 68 years. [Entry from burial record book.] [On small piece of paper stuck onto page:- Sold to Richard Marsh.] [Concealed below this piece of paper:- Mary .........6 aged 19.......] Edith Marsh interred Mar 12th 1846 aged 80 years. Edward Marsh interred Apr 25th 1847 aged 85 years. [Entry from burial record book.] Sold to Joseph Sidebottom Sanderson. Mary Sanderson interred Feb 15th 1846 aged 19 years. Joseph Sanderson son of Ann Sanderson interred Feb 25th 1849 aged 4 months. Mary Sanderson wife of Joseph Sanderson Senr. interred Jul 20th 1852 aged 60 years. Mary Sanderson daughter of Sarah Sanderson interred Aug 23rd 1857 aged 4 months. George Henry Sanderson son of Jane Sanderson interred Oct 4th 1857 aged 4 months. William Sanderson of Ann Sanderson interred Dec 22nd 1857 aged 7 months. Jane Sanderson interred Feb 5th 1860 aged 24 years. Ann Sanderson interred Apr 22nd 1860 aged 3 years. Jane Sanderson interred Apr 29th 1860 aged 10 months. Wm. Wild still born. [Gravestone inscription.] JAMES RICHARDSON of Witle Bank, New Mills, died May 3rd 1885 aged 56 years. Also SARAH his wife died Aug 23rd 1912 aged 82 years. Also JIM son of the above died Mar 28th 1886 aged 21 years. Also MARTHA ANN wife of JOHN W. BEARD and daughter of JAMES and SARAH RICHARDSON died Oct 20th 1893 aged 32 years. Also THOMAS son of the above died Oct 1st 1935 aged 82 years. [Entry from burial record book.] Sold to James Lee. John Lee interred Oct 22nd 1848 aged 35 years. Betty Lee wife of James Lee interred Apr 2nd 1856 aged 67 years. James Lee interred Dec 31st 1859 aged 71 years. [Entry from burial record book.] Sold to John Fisher. Joseph Fisher interred May 3rd 1843 aged 14 months. Thomas Fisher interred Nov 4th 1856 aged 19 years. Alice Fisher interred May 26th 1858 aged 7 weeks. Herbert Nowell son of Henry Nowell of Thornsett aged 8 months interred Jun 13th 1874. Joseph Shaw interred Mar 29th 1875 aged 36 hours. Hannah Fisher interred Sep 18th 1897 aged 81 years. John Fisher interred May 27th 1898 aged 83 years. [Entry from burial record book.] Sold to John Clayton. James son of John and Hannah Clayton interred Oct 17th 1841 aged 2 months. Hannah Clayton interred May 3rd 1848 aged 5 years 7 months. John Thomas Clayton interred Oct 3rd 1852 aged 6 months. Nanny Clayton interred Oct 10th 1852 aged 2 years 6 9 months. Elizabeth Clayton Mar 22nd 1857 aged 3 years. [Crossed out: Martha [Smith?] interred Feb 24th [no year] aged 67 years.] John Thompson interred Mar 5th 1871 aged 20 months. Matthew Clayton Oct 16th 1873. Esther Clayton Thompson interred Sep 23rd 1878 aged 1 year 9 months. [Entry from burial record book.] Trustees Grave to bury the poor. James Frodsham interred Dec 31st 1843 aged 49 years. [Crossed out: Charity Cooper interred Jan 7th 1844 aged 5 years.] Removed to No. 82. Ann Howe interred Mar 31st 1844 aged 48 years. George Taylor son of Rachel Taylor interred Apr 7th 1844 aged 20 days. Joseph Hooley son of Henry and [blank] Hooley interred Apr 21st 1844 aged 3 days. Emanuel Matthews Lomas son of John and Matilda Lomas interred Nov 10th 1844 aged 13 days. Wm. Tatlows child interred Dec 1st 1844 aged [blank]. Fanny Hooley interred Mar 26th 1848 aged 18 months. Ellen Simpson interred Jun 22nd 1849 aged 1 day. Alice Howe interred Aug 18th 1867 aged 14 months. Eliza Ellen Hill interred Feb 18th 1869 aged 14 months. Emma Elizabeth Dawes interred Mar 20th 1869 aged 4 months. Fread Beardsall interred May 3rd  aged 8 years. [Entry from burial record book.] Sold to Prudence Unwin. Joshua Unwin interred May 24th 1850 aged 75 years. Prudence now Bowden interred Aug 18th 1860 aged 78 years. [Entry from burial record book.] Sold to Joseph Stafford. Sarah Stafford daughter of Joseph and Jane Stafford baptized May 30th died Jun 22nd and interred Jun 25th 1846 aged 3 months. Maria Stafford interred Jul 17th 1852 aged 17 days. John William Bayley interred May 8th 1867 aged 10 months. Joseph Bayley interred Dec 15th 1872 aged 4 years. Mary Ann Stafford interred Nov 25th 1877 aged 34 years. Mary Ann Bailey aged 9 months [no date given]. Joseph Stafford aged 81 years interred Sep 2nd 1890. Jane Stafford aged 81 years interred Dec 13th 1894. Grave Full. [Gravestone inscription.] MARY ANN STAFFORD daughter of JOSEPH and JANE STAFFORD of Bank Side, New Mills, died Nov 20th 1877 aged 34 years. Also the above JOSEPH STAFFORD died Aug 30th 1890 aged 81 years. Also JANE wife of the above departed this life Dec 10th 1894 aged 81 years. [Entry from burial record book.] Jane Annie Bilton aged 74 years interred 28th Feb 1955. [Gravestone inscriptions. There are 6 cremation graves, but only one is occupied.] JANE A. BILTON 1880 - 1955. [Entry from burial record book.] Sold to John Howard Sep 13th 1884. James Swindells interred Jun 30th 1894 aged 46 years. John Howard interred Feb 10th 1896 aged 74 years. Jane Howard interred Jan 7th 1905 aged 85 years. Miss Ethel Swindells died at Stepping Hill Mar 14th 1959 interred Mar 18th 1959 aged 79 years. [Gravestone inscription.] NIELD SWINDELLS died 13th Mar 1963 aged 70 years. JOHN HOWARD interred 10th Feb 1896 aged 74 years. Also JANE his wife interred 7th Jan 1905 aged 85 years. JAMES SWINDELLS interred 30th Jun 1894 aged 46 years. Also ETHEL SWINDELLS interred 18th Nov 1959 aged 79 years. [Entry from burial record book.] Sold to George Swindells. Sydney Swindells interred Aug 16th 1884 aged 6 years. Albert Swindells interred May 29th 1890 aged 2 months. [Crossed out: Lizzie Swindells interred Jul 22nd 1892 aged 17 months.] See No. 12 R. Swindells. Hilda Swindells interred Jun 30th 1894 aged 5 years. Stanley Swindells interred Jun 30th 1894 aged 7 years. George Swindells (Howard) interred Dec 14th 1912 aged 68 years. Mrs Betty Swindells interred Oct 4th 1929 aged 79 years. [Gravestone inscription.] GEORGE SWINDELLS of Lower Bangs, Mellor, died Dec 11th 1912 aged 68 years. Also BETTY wife of the above died Oct 1st 1929 aged 79 years. Also STANLEY son of the above died Jun 27th 1894 in his 8th year. Also HILDA daughter of the above died Jun 29th 1894 in her 6th year. [Entry from burial record book.] Sold to Mrs Clayton Jun 1882. Mr Richard Clayton aged 51 interred Jun 19th 1882. Mary Florence Clayton aged 10 months interred Jan 29th 1888. William Bowden Clayton aged 5 years interred Sep 26th 1901. Margaret Clayton aged 79 years interred May 2nd 1905. Florence Clayton aged 8 days interred Oct 14th 1915. William Clayton aged 69 years interred Mar 14th 1929. Annie Clayton aged 74 years interred Mar 20th 1939. This Grave is full. [Gravestone inscription.] This stone was erected by public subscription. Rev. 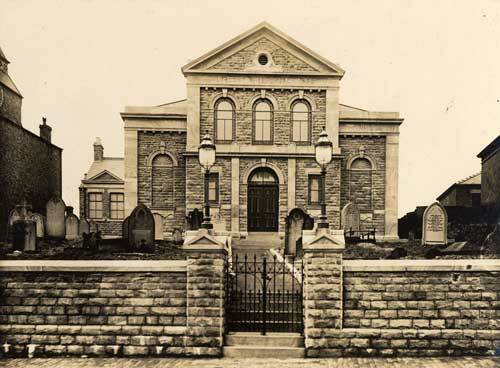 W. SUNDERLAND, Primitive Methodist Minister, departed this life May 1st 1881 aged 36 years. [Entry from burial record book.] [Crossed out: William Clowes interred Sep 2nd 1875 aged [?] weeks.] Sold to Richard Fox. Samuel Fox interred May 21st 1878 aged 67 years. Florence Mary Fox interred Dec 25th 1882 aged 8 months. Richard Fox interred May 14th 1891 aged 74 years. Ann Fox interred [crossed out: May 14th] Jul 28th 1906 aged 85 years. [Gravestone inscription.] RICHARD FOX of Bridgemont, Whaley Bridge, died May 10th 1891 in his 75th year. Also ANN his wife died Jul 25th 1906 aged 85 years. [Entry from burial record book.] Sold to Mrs Martin. Thomas Martin interred Apr 3rd 1879 aged 34 years. [Crossed out: Albert Baxter interred Sep 12th 1892.] Sarah Martin interred Mar 16th 1901 aged 26 years. Sarah Ann Martin interred Aug 5th 1921 aged 86 years. Elizabeth Edge wife of Joseph P. Edge interred Apr 19th 1941 aged 67 years. Joseph P. Edge interred 11th Feb 1961 aged 82 years. [Entry from burial record book.] Sold to George Henry Ibbert. George Henry Ibbert aged 9 months interred Jun 27th 1876. Nellie Bullock aged 3 months interred Jun 16th 1888. Herbert Bullock aged 1 month interred May 26th 1889. Lennant Hibbert aged 10 months interred Mar 15th 1890. Ellen Hibbert aged 48 years interred Mar 27th 1890. Florence Ellen Hibbert aged 2 months interred Jun 28th 1890. Albert Hibbert aged 14 months interred Feb 22nd 1893. George Henry Hibbert aged 66 years interred Jan 20th 1904. Grave Full. [Entry from burial record book.] Sold to James Baxter. Joseph Baxter interred Jan 20th 1875 aged 2 years. Albert Baxter interred Sep 13th 1892 aged 16 months. James Baxter interred Jul 16th 1897 aged 67 years. Mary Baxter interred Jun 10th 1920 aged 88 years. [Gravestone inscription.] JAMES BAXTER of Birch Vale died Jul 12th 1897 in his 68th year. Also MARY wife of the above died Jun 6th 1920 in her 89th year. Also JOSEPH son of JAMES and MARY BAXTER died Jan 17th 1875 in his 3rd year. [Entry from burial record book.] Sold to Rosa Middleton. Rosey Higginbottom aged 77 interred Aug 16th 1882. [Gravestone inscription.] ROSA HIGGINBOTTOM of Mellor departed this life Aug 12th 1882 aged 77 years. [Entry from burial record book.] Sold to William Potts Jan 27th 1885. Urbane Potts aged 10 weeks interred Jan 27th 1885. Hugh Potts aged 2 days interred Dec 13th 1896. Mrs Elizabeth Potts aged 70 years interred Dec 21st 1927. William Potts aged [blank] years interred May 24th 1941. Ethel Bintcliffe aged 61 years interred Jul 16th 1949. [Gravestone inscription.] SARAH wife of WILLIAM TIPPET of High Lea, New Mills, died May 25th 1903 aged 66 years. Also the above WILLIAM HENRY TIPPET died Dec 9th 1918 aged 86 years. [Entry from burial record book.] Sold to Robert Swindells. Sarah Swindells interred Dec 15th 1883 aged 2 years 5 months. Lizzie Swindells interred Jul 22nd 1892 aged 1 year 5 months. Alice Swindells interred Mar 18th 1912 aged 17 years. Robert Swindells interred Apr 6th 1918 aged 59 years. Mary Griffin interred Feb 2nd 1935 aged 74 years. [Gravestone inscription.] Stone badly overgrown by rose tree. [Entry from burial record book.] Sold to Samuel Bodle. Eliza Bodle aged 41 years interred Apr 14th 1882. Esther Ann Bodle aged 21 years interred Nov 24th 1885. William Bodle aged 2 months interred Oct 12th 1901. Samuel Bodle aged 69 years interred Mar 8th 1902. [Gravestone inscription.] ELIZA wife of SAMUEL BODLE of New Mills died Apr 13th 1882 aged 41 years. Also ELIZA their daughter died Feb 26th 1876 aged 7 months. Also ESTER-ANN their daughter died Nov 21st 1885 aged 21 years. Also the above SAMUEL BODLE died Mar 6th [or 5th?] 1902 aged 70 years. [Entry from burial record book.] Sold to John Beard. Martha Beard aged 58 years interred Apr 3rd 1880. John Beard aged 71 years interred May 17th 1901. [Gravestone inscription.] MARTHA wife of JOHN BEARD of Rose Villa, New Mills, died Apr 1st 1880 aged 58 years. Also the above JOHN BEARD entered into rest May 14th 1901 in his 72nd year. [Entry from burial record book.] Sold to Joseph Swindells. Edith Swindells aged 8 days interred Dec 3rd 1878. Martha Ann Swindells aged 10 months interred Oct 21st 1883. John Swindells aged 21 hours interred Nov 19th 1900. John Bridge aged 44 years interred Jul 5th 1911. Joseph Swindells aged 68 years interred May 21st 1926. Mrs Jos. Swindells interred Jul 28th 1926 aged 68 years. This Grave Full. Mrs J. Bridge interred Apr 1st 1940 aged 74 years (Mary Jane). This Grave is full. [Entry from burial record book.] Sold to Thos. Hadfield. Elizabeth Hadfield aged 57 years interred May 26th 1877. [Crossed out: Sarah] Samuel Beard aged 52 years interred Nov 2nd 1904. Harriett Ann Beard aged 54 years interred Feb 15th 1906. [Gravestone inscription.] THOMAS HADFIELD of New Mills died Jun 13th 1883 aged 62 years. Also ELIZABETH his wife died May 23rd 1877 aged 57 years. Also SAMUEL BEARD of High Lane born Aug 31st 1851 died Oct 28th 1904. Also HARRIETT ANN his wife born Aug 31st 1851 died Feb 12th 1906. [Entry from burial record book.] Sold to Jacob Marshall. Rachel Marshall aged 19 years Jun 16th 1874. Jacob Marshall aged 77 years interred Oct 5th 1901. Betsy Marshall aged 80 years interred Sep 11th 1907. Ann Marshall aged 78 years interred May 26th 1928. Depth 4-6. [Gravestone inscription.] RACHEL MARSHAL daughter of JACOB and BETSEY MARSHALL of Thornsett died Jun 15th 1874 aged 19 years. Also the above named JACOB MARSHALL died Oct 1st 1901 aged 77 years. Also BETSY his wife died Sep 5th 1907 aged 80 years. Also ANN MARSHALL their daughter died May 22nd 1928 aged 78 years. [Entry from burial record book.] Sold to James Swindells. Hannah Swindells aged 9 weeks interred Jul 14th 1873. Jesse Swindells son of Samuel Swindells interred Nov 24th 1887 aged 5 years. Ruth Swindells aged 40 years interred May 20th 1922. Mary Swindells aged 77 years interred Dec 29th 1923. James Swindells aged 80 years interred Apr 5th 1927. Depth of Grave 3-0. [Gravestone inscription.] HANNAH daughter of JAMES and MARY SWINDELLS of Newtown died Jul 11th 1873 aged 9 weeks. Also RUTH their daughter died May 18th 1922 aged 40 years. Also MARY wife of JAMES SWINDELLS died Dec 26th 1923 aged 77 years. Also the above JAMES SWINDELLS died Apr 1st 1927 aged 80 years. Also JESSE nephew of the above died Nov 22nd 1887 aged 6 years. [Entry from burial record book.] Sold to John Hewitt. John Hewitt aged 44 years interred Nov 10th 1890. Hannah Hewitt aged 42 years interred Jul 25th 1894. James Hewitt aged 37 years interred Aug 9th 1916. [Gravestone inscription.] JOHN HEWITT of New Mills entered into rest Nov 6th 1890 aged 43 years. HANNAH his wife "at rest" Jul 23rd 1894 in her 43rd year. Also JAMES their son and husband of ANNIE HEWITT died Aug 6th 1916 aged 37 years. [Entry from burial record book.] Sold to John Bagshaw. George Henry Bagshaw aged 11 months interred Feb 28th 1884. John Bagshaw interred Jan 9th 1930 aged 80 years. Mrs Ann Bagshaw wife of John Bagshaw interred Dec 9th 1930 aged 78 years. Evelyn Bagshaw departed this life Feb 18th 1964 interred Feb 22nd 1964 aged 83. [Gravestone inscription.] JOHN BAGSHAW of Hague Bar died Jan 6th 1930 aged 80 years. Also ANN his wife died Dec 5th 1930 aged 78 years. Also GEORGE HENRY their son died in infancy. Also EVELYN their daughter died Feb 18th 1964 aged 83 years. [Entry from burial record book.] Sold to Grant Arnfield. Mary Arnfield aged 53 years interred Feb 17th 1883. Joseph Graham aged 76 years interred Sep 16th 1932. Depth of Grave 5'-0". Catherine Graham aged 81 years interred Dec 24th 1934. Ann Graham aged 86 years interred Jul 6th 1944. This grave is full. [Entry from burial record book.] Sold to Joseph Sanderson. Mary Sanderson aged 25 years interred Nov 20th 1882. [Gravestone inscription.] MARY wife of JOSEPH SANDERSON of Dukinfield born Oct 10th 1857 died Nov 17th 1882. [Entry from burial record book.] Sold to John Gresty. William Albert Edward Gresty aged 1 year interred Aug 13th 1880. [Entry from burial record book.] Sold to George Howard. Sarah Jane Howard aged 1 year interred Jun 17th 1879. Elizabeth Howard aged 62 years interred Nov 10th 1914. Minnie Howard aged 31 years interred Nov 12th 1918. George Howard aged 82 years interred May 11th 1932. [Entry from burial record book.] Sold to Martha Ann Bagshaw. Peter Bagshaw interred Nov 15th 1877 aged 15 years. William Bagshaw interred Aug 13th 1898 aged 72 years. Lavinia Bagshaw interred Jan 10th 1899 aged 73 years. Martha Ann Bagshaw aged 74 years interred Mar 13th 1928. Rose Hannah Bagshaw interred Apr 24th 1934 aged 71 years. Samuel Bagshaw interred Apr 25th 1936 aged 77 years. This Grave is now full Apr 25th 1936. [Gravestone inscription.] PETER son of WILLIAM and LAVINA BAGSHAW of Hague Bar died Nov 10th 1877 aged 15 years. Also the above WILLIAM BAGSHAW died Aug 8th 1898 aged 72 years. Also LAVINA his wife died Jan 7th 1899 aged 73 years. Also MARTHA ANN BAGSHAW daughter of the above died Mar 9th 1928 aged 74 years. Also ROSE ANN[?] wife of SAMUEL BAGSHAW died Apr 21st 1934 aged 71 years. Also the above SAMUEL BAGSHAW died Apr 23rd 1936 aged 77 years. [Entry from burial record book.] Sold to George Bowe. Mary Elizabeth Bowe (age 11 years) daughter of George Bowe interred Sep 1st 1875. [Entry from burial record book.] Sold to John Thos. Wharmby. Mary Elizabeth Wharmby interred Sep 17th 1875 aged 21 years. Herbert Harold Wright aged 40 years (son-in-law to Mr and Mrs Wharmby) interred Jul 3rd 1923. Betty Wharmby wife of J. T. Wharmby aged 72 years interred Apr 2nd 1929. John Thomas Wharmby aged 83 years interred Dec 9th 1936. [Gravestone inscription.] MARY ELIZABETH wife of JOHN THOMAS WHARMBY of New Mills died Sep 14th 1875 aged 21 years. BETTY wife of JOHN THOMAS WHARMBY died Mar 28th 1929 aged 72 years. Also the above JOHN THOMAS WHARMBY died Dec 5th 1936 aged 83 years. Also HURBERT HAROLD WRIGHT of Renishaw passed away Jun 29th 1923 aged 40 years. [Entry from burial record book.] Sold to Jonathan Hyde. Amelia Hyde interred Apr 7th 1889 aged 20 years 7 months. Jane Ann Hyde interred Dec 7th 1893 aged 25 years. Evelyn Mary Fox interred Dec 14th 1904 aged 4 days. [Gravestone inscription.] AMELIA wife of JONATHAN HYDE of High Lea, New Mills, born Aug 28th 1868 died Apr 5th 1889. Also JANE ANN his wife born Jan 26th 1868 died Dec 3rd 1893. Also the above JONATHAN HYDE died 17th Jan 1939 aged 71 years interred Regine Cemetery, Canada. [Entry from burial record book.] Sold to John Berry. John Berry aged 11 months interred Feb 25th 1883. Fred Berry aged 3 months interred May 8th 1884. Jane Berry aged 71 years wife of John Berry interred Jun 13th 1922. John Berry aged 74 years interred Apr 1st 1925. Ernest Berry aged 77 died Jun 7th 1963 interred Jun 11th 1963. [Entry from burial record book.] Sold to Elizabeth Bowden. Abraham Bowden aged 52 years interred Dec 9th 1882. Norman Bowden aged 4 years interred Jun 4th 1885. John Stafford aged 75 years interred May 16th 1886. Elizabeth Bowden aged 70 years interred Oct 10th 1901. Sydney Walker aged 8 months interred Jan 25th 1904. Grave Full. [Entry from burial record book.] [Crossed out:- Sold to Mr William Johnson Feb 18th 1881. Hannah Johnson interred Feb 18th 1881 aged 68 years.] Sold to Jane Bowden. John Bowden interred Dec 2nd 1882. Jane Bowden interred May 6th 1884 aged 63 years. Alice Waterhouse interred Jul 23rd 1887 aged 27 years. Lydia Stafford interred Oct 17th 1895 aged 70 years. [Entry from burial record book.] Sold to Mr William Johnson Feb 18th 1881. Hannah Johnson interred Feb 18th 1881 aged 68 years. [Entry from burial record book.] Sold to James Berry. Hannah Berry aged 16 years interred Mar 20th 1880. James Berry aged 5 years interred Apr 1st 1880. James Berry aged 58 interred Apr 1882. Ethel Stafford aged 7 days interred Sep 23rd 1888. Elizabeth Berry aged 81 years interred Jun 25th 1910. James Berry aged 82 interred Sep 23rd 1952. [Gravestone inscription.] JAMES BERRY of Spring Bank, New Mills, departed this life Apr 18th 1882 aged 58 years. Also ELIZABETH his wife departed this life Jun 22nd 1910 aged 82 years. Also HANNAH daughter of the above departed this life Mar 18th 1880 aged 16 years. Also JAMES BERRY died 19th Sep 1952 aged 83 years. [Entry from burial record book.] Sold to George Bagshaw. Edith Bagshaw aged 18 months interred Feb 5th 1879. Charles Bagshaw aged 7 years interred Jun 15th 1895. George Bagshaw aged 70 years interred Sep 14th 1921. Mary Hannah Bagshaw aged 86 years interred May 17th 1936. [Gravestone inscription.] EDITH daughter of GEORGE and MARY HANNAH BAGSHAW of Watford Mount departed this life Feb 1st 1879 aged 18 months. Also CHARLES (Charlie) their son departed this life Jun 10th 1895 aged 7 years. Also the above GEORGE BAGSHAW departed this life Sep 11th 1921 aged 70 years. Also MARY HANNAH his wife departed this life May 17th 1936 aged 86 years. [Entry from burial record book.] Sold to James Bowden. Elizabeth Bowden aged 44 years interred Dec 9th 1878. James Bowden aged 61 years interred Jun 4th 1893. Harry Bowden aged [blank] interred Feb 25th 1914. [Gravestone inscription.] ELIZABETH wife of JAMES BOWDEN of Hague Bar departed this life Dec 5th 1878 aged 44 years. Also the above named JAMES BOWDEN departed this life Jun 1st 1893 aged 61 years. [Entry from burial record book.] Sold to Eliza Wild. Thomas Wild aged 40 years interred May 8th 1879. Samuel Howard aged 74 years interred Nov 3rd 1891. Samuel Howard aged 38 years interred Oct 1st 1893. Joseph Howard aged 60 years interred Apr 17th 1920. Hannah Richardson aged 74 years died at 18 Eaves Knoll Road New Mills on 18th Feb 1947 interred 21st Feb 1947. George W. Richardson died Jun 5th 1957 interred Jun 8th 1951 aged 77. 22nd Apr 1971 Sarah Booth aged 68 who died Apr 7th 1971 at 18 Eaves Knoll Road. (Ashes only.) 11th Nov 1971 Allen Booth who died 22nd Oct 1971 aged 72 years. Burial of ashes only. [Gravestone inscription.] HANNAH wife of GEORGE W. RICHARDSON died Feb 18th 1947 aged 74 years. Also GEORGE WILLIAM husband of the above died Jun 5th 1951 aged 77 years. [Entry from burial record book.] Sold to Isaac Hill. Mary Hill aged 75 years interred Nov 10th 1923. Isaac Hill aged 79 years interred May 30th 1927. [Gravestone inscription.] ISAAC HILL died May 27th 1927 aged 79 years. MARY wife of ISAAC HILL of Union Rd, New Mills, departed this life Nov 9th 1923 aged 75 years. [Entry from burial record book.] Sold to James Wharmby. James Wharmby aged 75 years interred Apr 6th 1919. Elizabeth Wharmby aged 81 years interred Dec 15th 1923. Mary Ann Clayton aged 65 years interred Sep 20th 1932. Depth of Grave 2ft 9". James William Clayton aged 89 years interred Jul 8th 1950. [Gravestone inscription.] JAMES WHARMBY of Carlton Villa, New Mills, died Apr 2nd 1919 aged 75 years. Also ELIZABETH his wife died Dec 12th 1923 aged 81 years. Also MARY ANN daughter of the above and wife of JAMES W. CLAYTON died Sep 16th 1932 aged 65 years. Also the above JAMES WILLIAM CLAYTON died Jul 4th 1950 aged 89 years. Also JOSIAH POGSON son-in-law of the above died Oct 25th 1955 aged 60 years. Also FLORANCE POGSON wife of the above died Jan 24th 1963 aged 68 years. [Entry from burial record book.] 23.11.25 [unexplained date]. Sold to George Potts. This Grave now belongs to Samuel Potts. Sarah Potts aged 55 years interred Nov 6th 1901. George Potts aged 79 years interred Nov 19th 1925. [Gravestone inscription.] SARAH wife of GEORGE POTTS of High Lea, New Mills, died Nov 3rd 1901 aged 55 years. Also the above GEORGE POTTS died Nov 16th 1925 aged 79 years. [Entry from burial record book.] Mr John P. Beverley. John Beverley interred Mar 24th 1916 aged 64 years. Sarah A. Beverley Apr 29th 1929 aged 84 years. John Peter Beverley aged 84. Died on Sep 8th 1961. A good man who has gone to his Rest. Buried Sep 12th 1961. [Gravestone inscription.] JOHN BEVERLEY died Mar 21st 1916 in his 65th year. SARAH A. BEVERLEY died Apr 25th 1929 in her 85th year. JOHN PETER BEVERLEY died Sep 8th 1961 aged 84 years. CECILLIA BEVERLEY died Feb 18th 1968 aged 86 years. [Entry from burial record book.] Mr John Smith. John Smith interred Oct 21st 1916 aged 59 years. James W. Carrington interred 27th Mar 1948 aged 69 years. Edith Carrington (Mrs) interred Mar [15th?] 1960 aged 79 years. Grave Full. [Gravestone inscription.] JOHN SMITH died Oct 18th 1916 aged 59 years. Also JAMES WILLIAM CARRINGTON died Mar 24th 1948 aged 69 years. Also EDITH his wife died Mar 11th 1960. [Entry from burial record book.] Mr Jos. Dodd. Nellie daughter of Joseph and Ada Dodd aged 2 days interred Jun 9th 1923. Mrs Ada Dodd aged 64 years interred Mar 15th 1951. Joseph Dodd interred [blank] 1952 aged 69 years. [Entry from burial record book.] Mr Harry Staff..... [page torn]. Mr Harry Stafford. [Entry from burial record book.] Mr Robert Bowden. Robert Bowden aged 74 years interred Apr 12th 1924. Mrs R. Bowden aged 83 years interred Sep 1st 1936. [Gravestone inscription.] ROBERT BOWDEN passed away Apr 8th 1924 in his 75th year. Also ELIZA his wife passed away Aug 30th 1936 in her 84th year. Also ARTHUR VINCENT only son of the above killed in action at Ypres Mar 6th 1918 aged 21 years. Also MARIA MAUD COYNE daughter of the above passed away Mar 27th 1928 aged 42 years, interred at Norbury Church. [Entry from burial record book.] Mr James Potts. James Potts aged 75 years interred Mar 3rd 1925. Mrs Ann Potts aged [blank] years interred Mar 2nd 1929. Aug 27th 1961 Harold Potts aged 70. Ashes only. [Gravestone inscription.] JAMES POTTS died Feb 28th 1925 aged 75 years. Also ANN his wife died Feb 27th 1929 aged 77 years. HAROLD POTTS died 21st Aug 1961 aged 70 years. Also MARGARET JANE his wife died May 18th 1968 aged 74 years. [Entry from burial record book.] Mr Wt. Stones. Wt. Stones aged 54 years interred Aug 7th 1925. Mary Hannah Stones aged 55 years interred Mar 19th 1927. Mrs B. Healey aged 52 years interred Oct 18th 1949. Benjamin Healey aged 66 interred 14th Jul 1955. Grave now full and sealed. [Gravestone inscription.] WRIGHT STONES departed this life 4th Aug 1925 aged 55 years. Also MARY HANNAH his wife fell asleep Mar 16th 1927 aged 55 years. BENJAMIN HEALEY died 10th Jul 1955 aged 66 years. Also BEATRICE HEALEY died 14th Oct 1949 aged 52 years.